Home Drugs and Pharmacy How Long Does Klonopin Last? Klonopin is considered a type of benzodiazepine that is used for treating mental disorders like acute epilepsy and anxiety. While these are the types of disorders that it is supposed to be used for, doctors sometimes describe it for off-label uses as well. Some of these off-label uses include insomnia, acute mania, restless leg syndrome and bruxism. Since it is a benzodiazepine, Klonopin basically works by changing and regulating the neurotransmission of gamma-aminobutyric acid (GABA) within the mind. Clonazepam is one of the key ingredients within Klonopin. It has a unique ability to bind with the GABA receptors within the mind. When these receptors are occupied, it causes the chloride ion channels to open up. As a result, the endogenous GABA activity is increased and Klonopin users feel more physically and mentally relaxed. It can also produce sensations of drowsiness or sedation. Klonopin can be useful on a short-term basis. Like other benzodiazepines, it can lead to harmful side effects when it is used over a longer time period. When used for a long time, Klonopin can lead to dementia, memory impairment, compromised professional performance, depression and memory impairment. Because of these problems, many individuals choose to use Klonopin for a relatively short time period. Once you have discontinued Klonopin, it can only stay in your system for a set amount of time. If you have been using Klonopin for an extended time period or at higher doses, your body may have developed a dependency to the drug. This means that suddenly discontinuing usage could lead to dangerous withdrawal symptoms. As a result, it is important that you talk to your doctor before discontinuing Klonopin. Your doctor may gradually reduce your dosage, recommend a detox center or provide medical supervision as you detox. Klonopin’s active ingredient, clonazepam, has a half life of about 30 to 40 hours. This means that half of the drug will be eliminated from your body within about one to two days of discontinuing use. This means that it will be completely removed from your system about seven to nine days from your final dose. Some medical specialists estimate that the half life of clonazepam actually ranges from 18 to 60 hours. If this is the case, then it can take about 4 to 14 days for Klonopin to be completely excreted by your body. When clonazepam is metabolized in your liver, it makes a metabolite called 7-aminoclonazepam. This metabolite is similar to clonazepam and may have a shorter half life. What Can Cause Klonopin Detox to Take More or Less Time? For most people, Klonopin will leave the body completely within two weeks or less. While this is the normal time frame, it can vary based on individual factors. Things like your physical health, the amount you took, other substances you used and the length of time that you used it can affect how long excretion takes. If your liver is impaired, then it will metabolize clonazepam less effectively than someone who has a healthy liver. An impaired or diseased liver is unable to process enzymes and medication the same way. If you have a condition like cirrhosis, it can take your liver longer to process clonazepam. Your body will accumulate more of Klonopin and excrete far slower than someone who has a fully functioning liver. Because of this, most doctors will prescribe a lower dose of Klonopin for someone with weakened liver function. When you ingest food when you take Klonopin, it can take longer for your body to process the drug. The amount that food affects the processing time depends on the type of food and how much you ate. Age may play a role in how long it takes for your body to excrete Klonopin. Someone who is over the age of 65 will typically have a slower clearance rate for different types of benzodiazepines than younger individuals. In one research study, it was found that elderly patients had a clearance rate for clonazepam that was 1.8 hours slower than younger individuals. This may happen because of age-related differences like limited plasma proteins, age-related health problems or decreased hepatic blood flow. Your urinary pH could influence how long Klonopin lasts n your system. If you have a lower urinary pH and acidic urine, you may have a faster clearance speed. Likewise, an individual who has alkaline urine may have a slower clearance speed. This may be because a more alkaline urine pH causes clonazepam to become reabsorbed by the body before it can be excreted properly. There are certain alleles that may influence how fast clonazepam is metabolized by the body. NAT2 genes and CYP3A4 variants are thought to influence this process. In some cases, it may take weeks longer for these genetic variations to clear clonazepam completely from their body. Unfortunately, there is no way to know if you are one of these people unless you have had a genetic test. If you have a higher body mass ratio to the dosage that you are given, clonazepam should be excreted faster. Basically, someone who has a larger size may metabolize the same dosage faster. When it comes to actually fat though, it helps to have lower fat stores in the body. 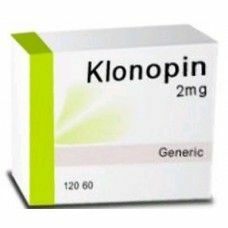 Klonopin is extremely lipophilic, which means that it can accumulate in fat stores. If someone has a higher body fat percentage, they will retain more clonazepam and clonazepam metabolites for longer than an individual who has a lower level of body fat. Your basal metabolic rate (BMR) could determine how fast you metabolize the drug. If your BMR is especially high, research studies show that you will be able to metabolize and excrete drugs faster than someone who has a low BMR. Basically, your body uses more calories at rest than someone else if you have a higher BMR. This is thought to help how quickly certain types of drugs break down. In addition, people with a high BMR may also have a lower level of body fat, which helps to reduce the amount of Klonopin that is stored in their body.